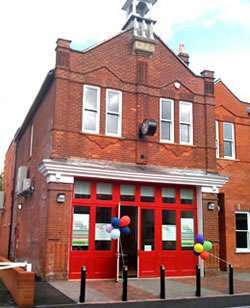 The Horley Young People’s Centre is based at the Old Fire Station in Albert Road, right in the centre of Horley. Currently, we are not sure if the Horley Young People’s Centre is in operation. If anybody knows please email us here. Advice on local colleges, employment opportunities, drugs and alcohol services, one-to-one mentoring – and more. Whether you just want somewhere to go with friends, to try something new or access a fantastic service to support you with help from their partners at NHS Virgin Care, who provide a Sexual Health Walk-In or YMCA’s Heads Together who offer Youth Counselling, pop in and visit them! They can also signpost you to local colleges, employment opportunities, drugs and alcohol services or Surrey’s Youth Support Service. The youth worker team can offer one to one mentoring and also have open sessions for all young people to attend, as shown above. If you are aged 10 to 19 years old then this is the building for YOU; young people make it what it is! For more information, contact Stephanie on 07580 900743 or email stephanie.gibson@surreycc.gov.uk. Firstly we would like to say on behalf of Surrey County Council and the Young People and Families Service, that there is no threat of closure to the youth centre. Horley Young People’s Centre is recognised by the council as a valuable asset to young people and the community. The purpose of a Youth Centre is to support the community’s Young People in the best way possible, ensuring that they are included in all that is offered by the Centre. In this respect, the Centre is not designed to operate as a business with a view to creating an income but to meet the needs of young people in the local area. We do recognise that the centre could be used more and we are exploring ways to make that happen within both a human and monetary perspective. Our Blaze Cafe project has been a success in many ways and we are keen to expand this project further. The ownership and commitment from the Young People to this project has been astounding. As a team of Youth Workers, we are limited both in skills and capacity as to how far we are able to develop this project without the input of an expert in the field. We are currently exploring ideas to help extend our Blaze Cafe offer to one which can open more than once a month. Any agreement for this to happen will include ongoing roles for Young People to take part in the project with the added benefit of teaching them more specific business skills (such as stock rotation, finances, budgeting, book keeping and qualifications etc). Young People will be consulted as part of the ongoing negotiations with external providers. Mondays – 4pm – 6pm Sexual Health Clinic delivered by NHS for anyone under 25yrs to gain free access to sexual health advice. Mondays – 5:30pm – 7pm Blaze Cafe Young People’s planning group. Saturday (last in month) – 10am -2pm Blaze Cafe. In addition to the above, we are part of Surrey’s Early Help Programme and offer 1:1 sessions throughout the week for young people who require additional support. 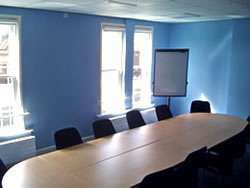 The building is used regularly by Youth Support Service to deliver 1:1 session as well as their ‘Ready for Work’ cafe on a Tuesday for young people not accessing education or employment. The Centre is also used by external groups to deliver private dance lessons, guitar lessons and a breast-feeding clinic. We are working with partners to get the radio station up and running starting with an online radio station. We also are involved with local community events and have previously hosted Santa’s Grotto as part of the HATs Christmas Fayre and we also put on an event for the St. George’s Day too. We are very well supported by our local County Councillors who provide extra funds for summer schemes and equipment. In addition, Horley Lions have been a massive support this year funding camping equipment and a residential for young women.